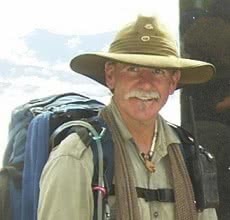 On a blog on this website on May 19, 2009 the incoming CEO of the Kokoda Track Authority, Rod Hillman, advised the KTA is ‘the day to day manager of the Kokoda Track and it is a KTA responsibility to develop systems to improve the trekker experience – whether through campsite bookings, itinerary planning and accreditation of Tour Operators or developing training programs’. ‘Please judge the KTA on what it does in the future and not on what it used to do. If in a year there is the same mistrust and concerns then I would have failed and I will be brought to account accordingly’. A year later trekker numbers had plunged by 35 per cent. Mistrust had increased because of secret deals Hillman personally negotiated with rogue operators. There is still no campsite booking system in place. There is no management of trek itineraries. There is no protection for the welfare of PNG guides and carriers. There is no campsite accreditation system. There is no legislation to support the Code of Conduct or the integrity in the accreditation of trek operators. There is no day-to-day management of the Kokoda trekking industry. Indeed it is hard to find a single effective management protocol put in place during Rod Hillman’s tenure. Hillman was paid an executive salary with tax free concessions and generous overseas allowances by the Australian Government. His total salary package was approximately 15 times greater than his PNG counterpart and successor! Rod Hillman was a failure by his own admission but was never held to account. Another example of the failure of boomerang aid to Papua New Guinea. you are so gracious Charlie, so willing to denigrate anyone and everyone, to plant yourself on the top of the mountain as a beacon of all that is right in the world. What happened in your life that made you so doggedly and persistently arrogant, so driven by point scoring, and belittling all others despite most of them genuinely attempting to make a difference. You may not agree with anything Rod did during his time at the KTA (you would be the last to praise anything anyone except yourself has done for Kokoda), but it must be said that you are a cherry picker of the highest order, methodically building and weaving your arguments to support your ultimate goal of having your company promoted above all others, your accommodation utilised above all others, your name synonomous with Kokoda, the name changed to “Kokoda Trail”, everyone bow down to you as the only one worth consulting about re Kokoda and its future. How about some positive reflection on something, rather than sheer ego driven systematic dismantling of someone’s character. Thank you James. I am willing to post Rod Hillman’s achievements on this blog if you could advise me of any. I would also be happy to post any contribution you have made towards the protection and interpretation of the Kokoda campaign or the welfare of the Koiari and Orokaiva people who live along it. I am not advocating the name be changed to ‘Kokoda Trail’ because that is the official name of the battle honour awarded to the Papuan Infantry Battalion and the 10 Australian battalions who fought in the Kokoda campaign. It is also the name gazetted by the traditional owners of the land i.e. the Government of Papua New Guinea. I have not been able to find any official reference to any other name but if you can produce one for me I will post it on this blog. Adventure Kokoda has invested in all of the campsites we use along the trail. I have been advised by the landowners that we are the only trekking company that pays the stipulated fee for local guides and carriers. If you know of any others please let me know and I will post it on this blog. I am not aware of a single management protocol put in place during Rod Hillman’s tenure as CEO. Not one of the 5 strategies or 33 objectives of the KTA Strategic Plan 2012-2015 has been put in place. The ‘Online Booking System’ he announced in his KTA newsletter was a fantasy – it never eventuated. Trek operators cannot book campsites; there is not trek itinerary management, etc etc. However if you know something that I don’t I am happy to post it on this blog.